Put up your hand if, like me, you hoard things to review and let it build up so much that it starts to get a bit out of control? Above is a sample tiny example of some of the things I've put in my 'Review Box' which I have have never got around to post about. When I started my 100 day spending ban in January I was telling my friend the Make up Pixi3 that I was worried I would have nothing to talk about. I really should have decided to clean my room sooner. How wrong I was. And by looking at the amount of stuff I have here it is a GOOD JOB I am on a spending ban as this is absolutely ridiculous really. All lying there untouched. 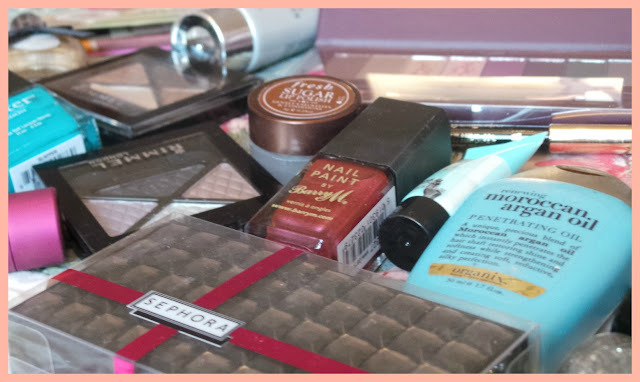 Amongst the goodies to review there are some Rimmel Quads, a Sephora Palette (excited to review this), some Sugar Berry Merriement, Sugar Scrub Lip Treatment and Barry M Texture Nail Varnish (an early Mothers Day present). 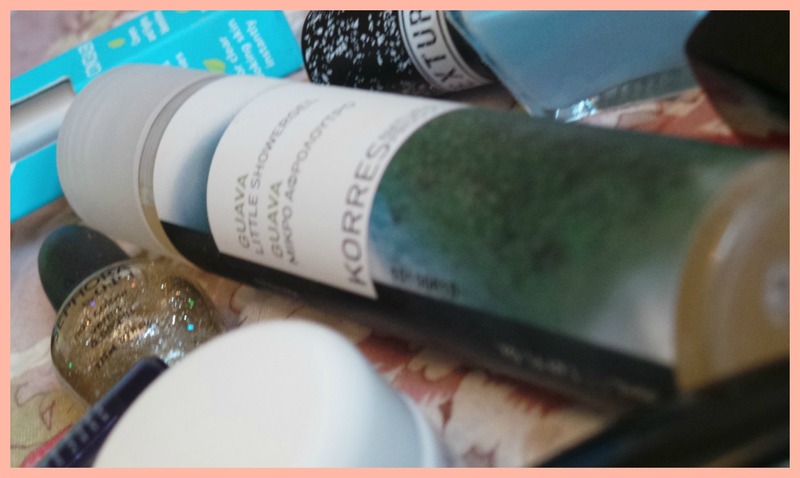 I am particularly excited about reviewing the Korres Guava Shower Gel, it smells absolutely beautiful. 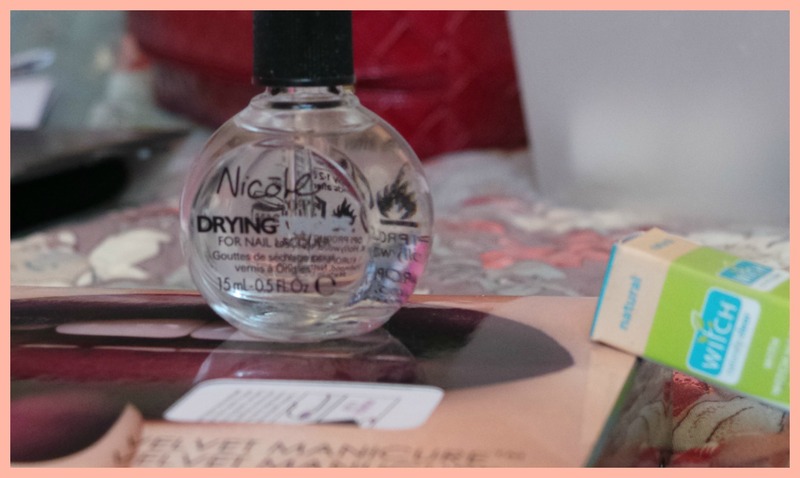 Nicole Opi drying drops have actually changed nail polish application as I know it. Review to come soon. Over the last 2 months I have been putting together a 'Wish List' of things I would like to buy in April when I am allowed to let myself spend again however, I'm thinking I should maybe file it away for a while..
From looking at the pictures, I thought I would ask my fellow bloggers and followers if there is anything they can see there that they would particularly like me to review, It could make the selection process easier. 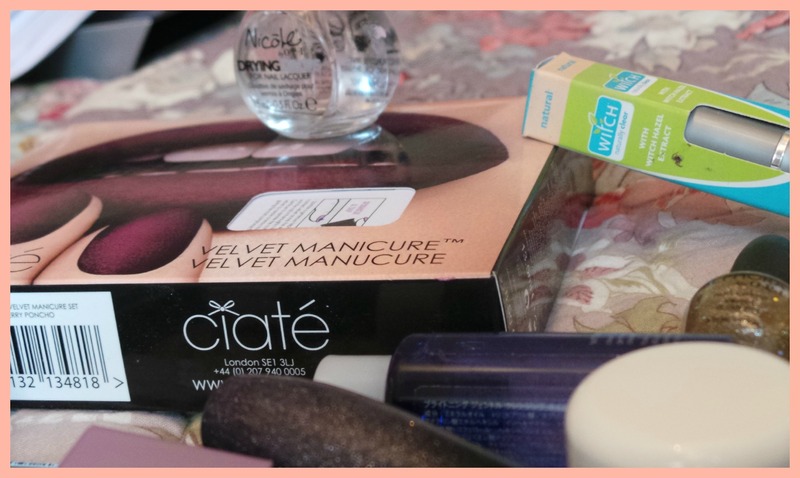 Oo I would like to see a review of the velvet nail varnish!! I'd love to see a review of the ciate velvet manicure set - looks really cool! I alwayssss do this too! 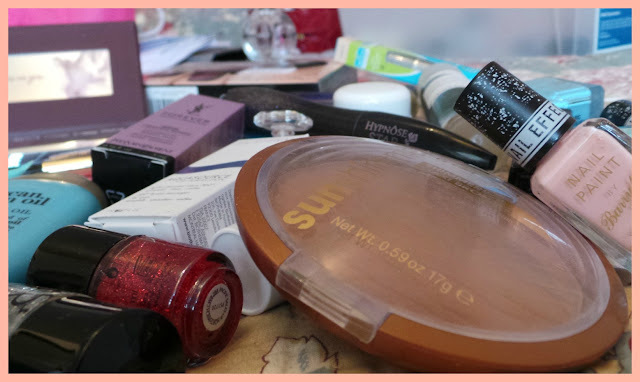 It's mainly with nail varnishes or mascaras as new ones are coming out all the time, and I love trying all things new! The Velvet Manicure looks good! 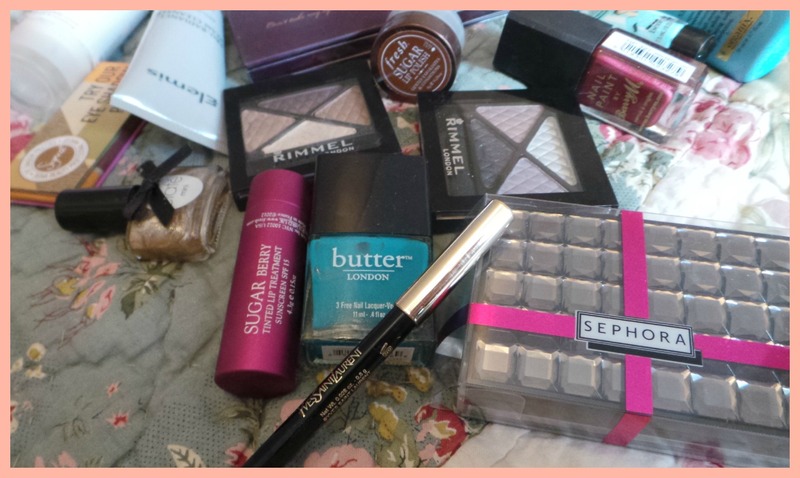 I know the feeling of having far too many products to review. It is a bit overwhelming sometimes. I would love to see the Barry M polishes reviewed. I really want to try them. I would like you to do a review of the morroccan argan oil please :) Newst follower! 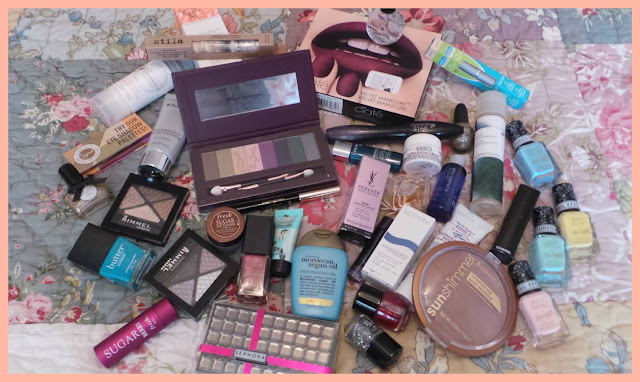 Wow that’s a lot of products you got there :) I recognize some of those, well love enjoy them and do a review so I can see how you like them.